First time visiting DUBAI ? 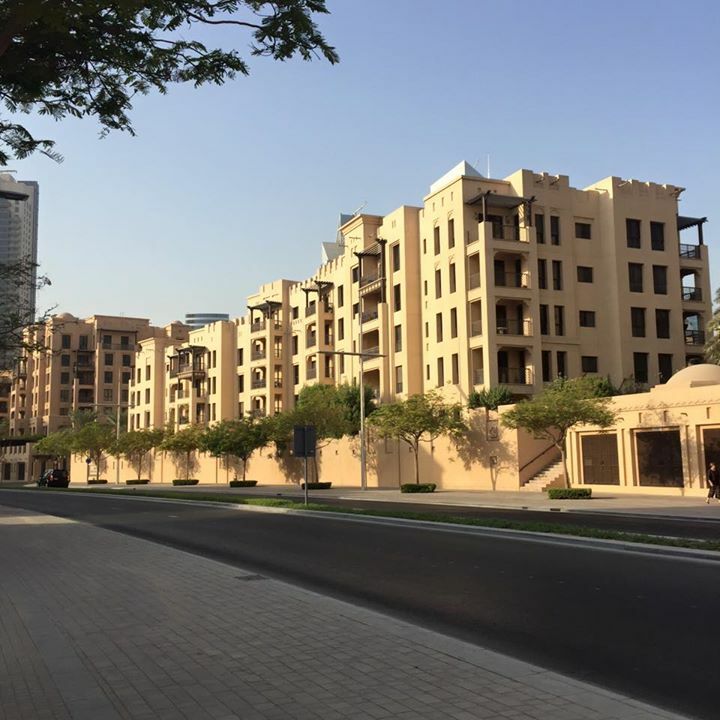 If you have no idea where to stay in Dubai, check this out for a reference! 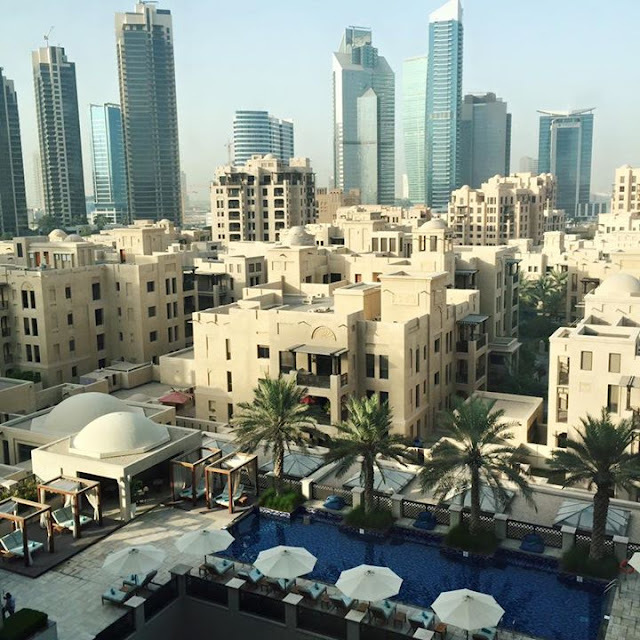 I had my 4 nights stay in Dubai in The Manzil Downtown. It is modern boutique hotel that offers guests an authentic experience of Arabic culture, food and hospitality. It is a 4 stars hotel. It is situated in the heart of Dubai. The hotel has the perfect location whether your are here for business or on vacation. 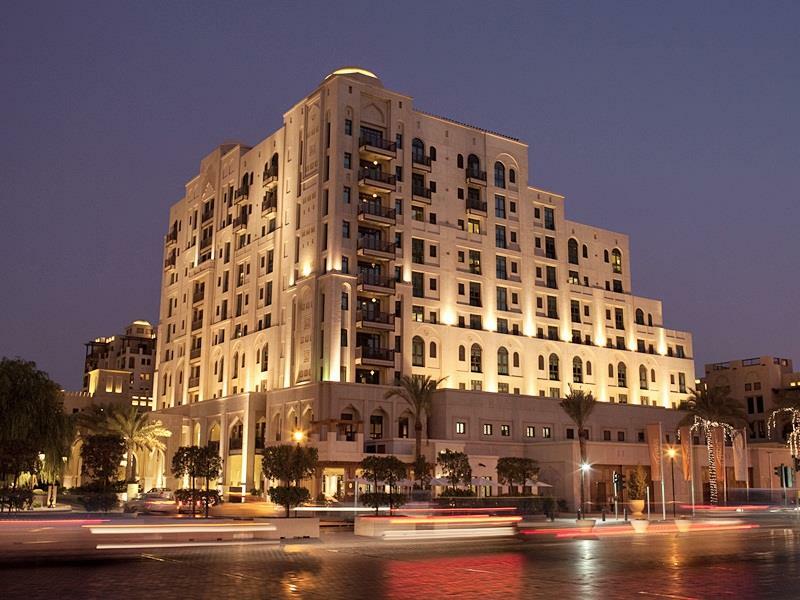 For my first time visiting Dubai I wanted to have a hotel that has the best location, because it would be so much easier for me to reach all the attractions and sights the city has to offer. Furthermore I prefer to have a unique experience of the modern Arabic way of life since i'm in Dubai. 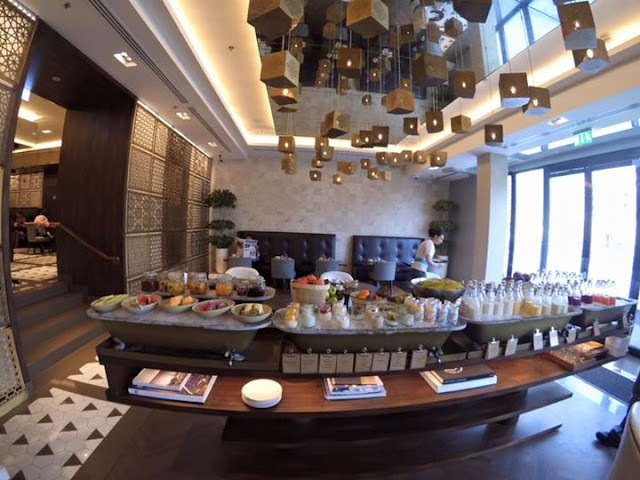 I fell in love with Manzil Downtown the moment i stepped into the lobby. Upon arrival, we received a warm welcome from the staff and we were ushered to check-in area and the check in was done within minutes. Alright, let's have a room tour now! The one i'm staying is Deluxe Room with a city view. Modern minimalism with traditional Middle Eastern touches like Oriental lamps, and nifty details, such as big flat screen televisions that are hidden at the end of the bed. Big bathrooms and complimentary Wi-Fi are super fast. It's a pleasure to stay, great location and easy to go around the city. 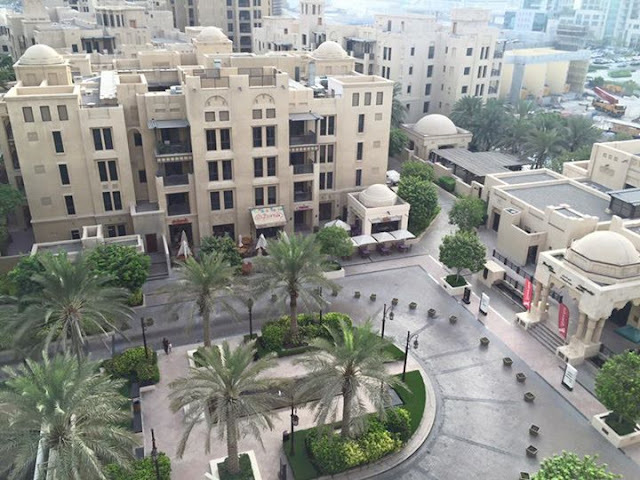 As i mentioned earlier in my previous post, the hotel is located right opposite to Dubai Mall! 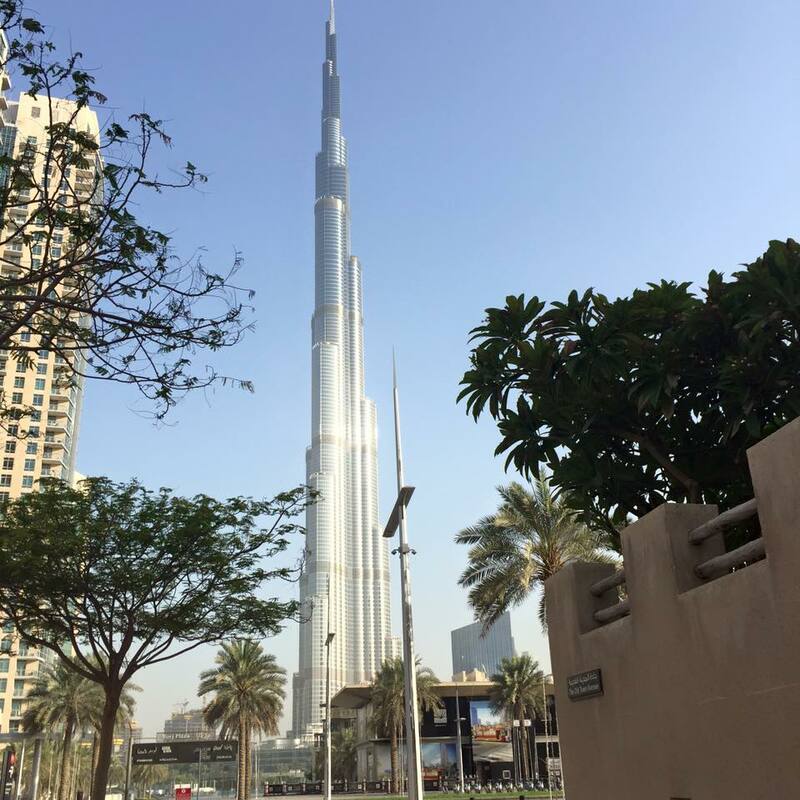 Of course, it is also right in front of Burj Khalifa! The tallest building in the world! Photo taken during my morning walk in the city. Dubai is one of the safest city in the world. So, don't worry about being alone. 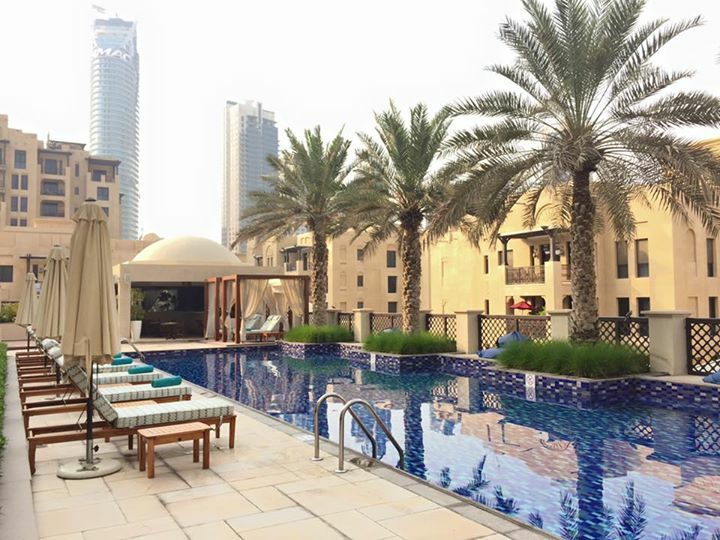 You have a choose between booking a room with a view of Burj Khalifa or the swimming pool. If you're lazy to walk, there's always cab right outside the hotel to give you fast access to any attractions! There is also a lot of cafe and restaurant along the street! Just walking distance. What i love the most is their breakfast! I was quite impressed by the breakfast offering. Buffet breakfast contained plenty of variety, especially the juices! I won't get bored of having their breakfast 4 days in a row. Besides that, you can also order the food from the Menu. There is no extra charges for in-house guest. Their breakfast is super healthy too! I got my Quinoa porridge with oats, dates and almonds. What a perfect start to my day! Never failed to surprises me every night when i'm back to my roooom. Whenever you require research paper task as soon as possible then our essay writing company come to your rescue. We make fast paperworks for you at the shortest time possible. Get in touch with our writers with the quidelines and also we take care of the remainder. I want to visit Dubai very much! I like travelling very much! When you travel, you can learn about the traditions of different countries,meet new people, get new impressions! And if you are a student and you want to travel more, I recommend you to order research paper done by writers online. You will save your time and get paper writing help online.